For most people, a sheep farm wouldn’t evoke thoughts of runway fashion, but for design alumna Cordelia Gibbs, growing up on a stud Merino sheep farm in Beverley, Western Australia, became the inspiration for her award-winning label COR.D, which celebrates our natural landscape, Australian wool and its cultural history. Most recently, the flourishing designer unveiled her latest collection, ‘past.tense’ at the 2016 Mercedes Benz STYLO Asia Fashion Week in November. Gibbs partnered with final year fashion student Sarah Mah to present a showcase called SPECERE: To Look. 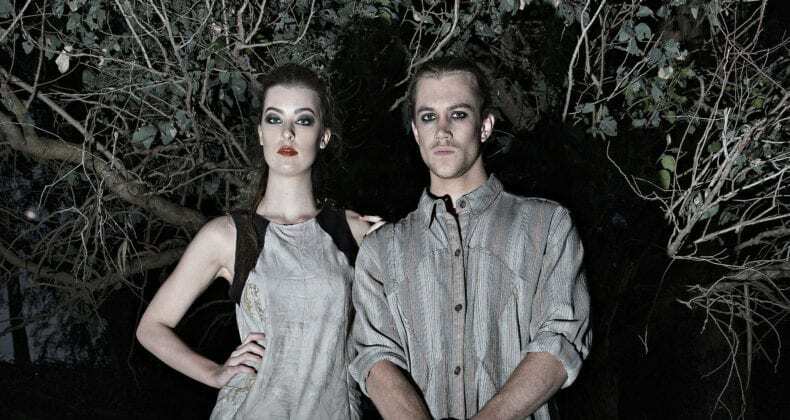 Gibbs presented six looks for past.tense from her COR.D label, which featured a collection of leisure/street wear made from natural materials and woollen fabrics, in earthy colours with rust-red detailing. 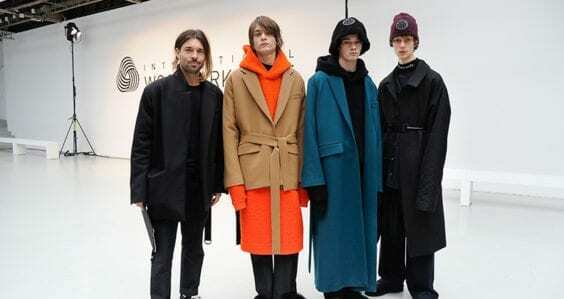 Models wearing Gibbs’ past.tense collection. Gibbs says provenance is especially important in her work, and her iconic use of wool in her designs, drawn from life on her family farm, has seen her become a bespoke creator in wool couture. 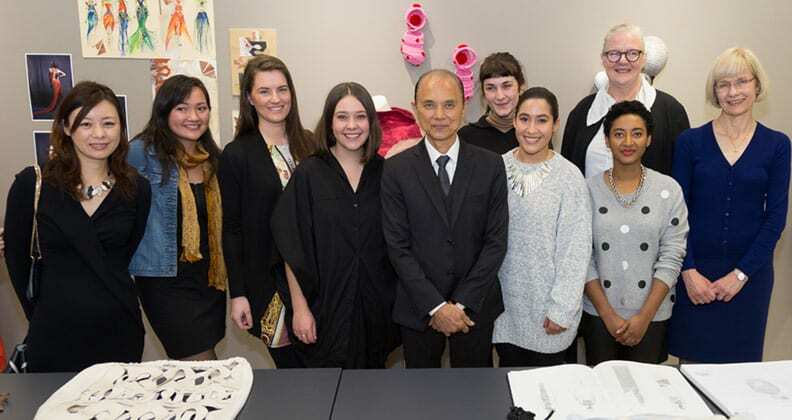 In 2013, Gibbs presented her graduate collection, ‘A Life in Wool’, at Curtin’s Fashion Graduate Show where she received the Sericin Silk and Curtin Research Hub industry awards. Her collection was also shown at the 2014 Australian Wool Fashion Awards, where she won both ‘Young Designer’ and ‘Supreme Champion’ of the year. “The collection stood out as a celebration of the Australian wool producer … and represented a lot of hard work and soul. It was incredible to have my work so well received,” says Gibbs. past.tense on the runway at 2016 Mercedes Benz STYLO Asia Fashion Week. Ever since she started hand-stitching clothes for her Barbie dolls as a young girl, Gibbs has wanted to work in fashion and design. 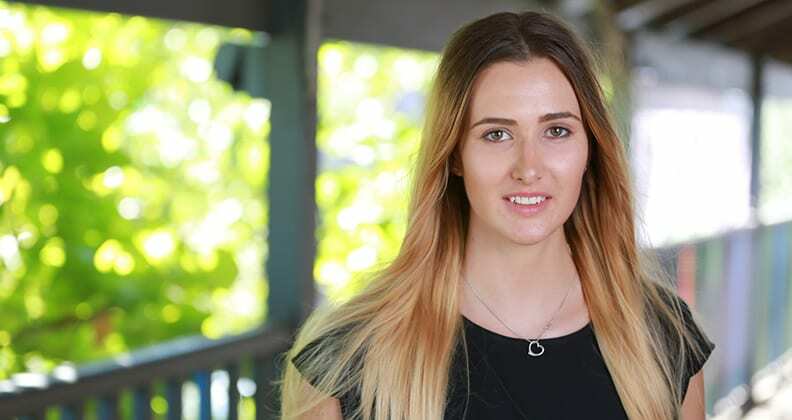 She jumped at the opportunity to study fashion at Curtin after hearing great things about its design school. 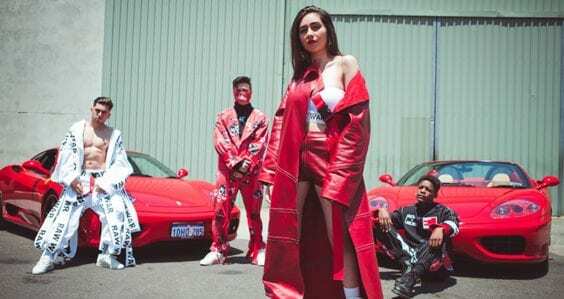 The designer has kept close ties with Curtin since completing her course, and has been working with three other graduates to develop her COR.D label with the help of the Fashion School’s Incubator program, The Cube. Gibbs and her alumni partners have been working with The Cube to develop an online store called KayaKiya, which will launch in early 2017 and give customers the choice to purchase custom made, locally produced clothing, or they can opt to be scanned for made-to-measure garments. Despite her success so far, Gibbs admits it can be challenging to be a designer based in Perth, but the lack of market presents the opportunity to try something new and utilise strong support networks. “There are so many people, groups and collectives trying something different in fashion, whether it be pushing and promoting ethical practice, or exploring new technology,” says Gibbs of the city’s fashion scene. 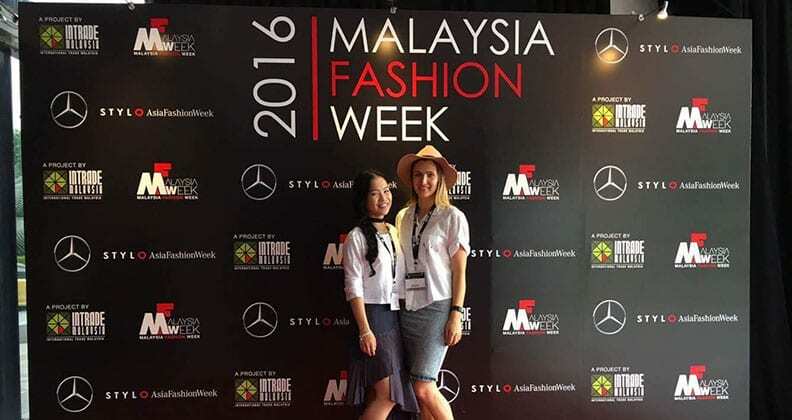 Fashion student Sarah Mah and alumna Cordelia Gibbs. In this dynamic era of fashion, Gibbs says there isn’t any fashion trend she dislikes; if someone truly loves an item or look, they should feel confident enough to rock it. “Blindly following trends set by chain stores is a no – I want to see the back of that!” she exclaims. “I would love to see more support and celebration of the hand-crafted. Something that has been thought about and made by loving hands tells a story and has more significance than mass produced and often unethically made ‘fast fashion’”.